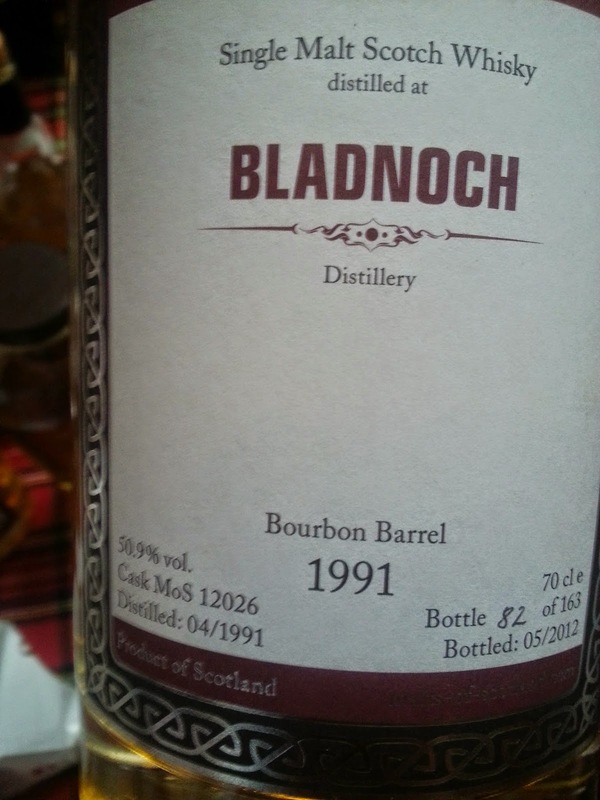 Bladnoch Distillery is a single malt Scotch whisky distillery in south-west Scotland. It was one of six remaining Lowland distilleries and is located at Bladnoch, near Wigtown, Dumfries and Galloway. The story of the distillery is one of temporary closures and reopenings. The mothballed distillery was discovered by Irishman Raymond Armstrong in 1994. After several years of trying to fund the project and replacing the old infrastructure and equipment, the distillery reopened for production in late 2000. The fate of the Lowlands distillery is unclear nowadays. 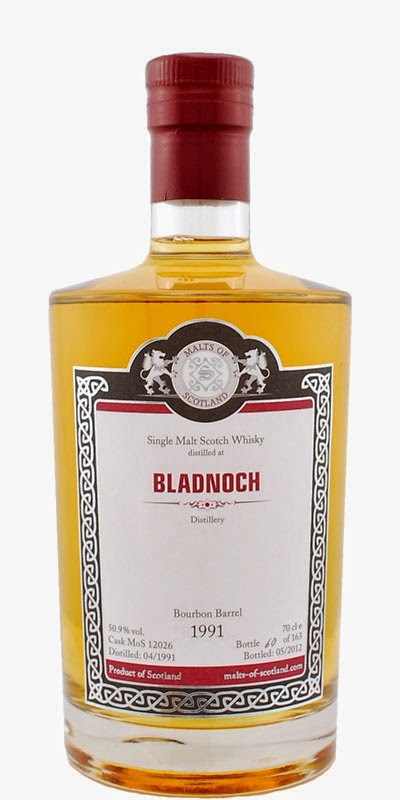 Bladnoch went into administration in 2014 and production has been halted. A court-appointed receiver has been appointed to handle the sale of Bladnoch’s assets. There have been some rumours of potential buyers but as today it remains to be seen whether the distillery will be reopened. Update: Bladnach has been reopened. Colour: Straw yellow coloured with a golden rim. The whisky leaves thin legs after swirling the glencairn glass. Nose: A typical Lowlander on the nose. Grassy with lots of vanilla aromas. Yellow prunes and pineapple. Fanta lemon and dextrose. Some flowery perfume, amaretto and pomelo citrus fruits. With water, the vanilla flavours become a little bit more pronounced with traces of green apple and pomelo. Taste: Fresh with a slightly sour touch. Grapefruit and apple peel. Oak tannins and a minimal touch of vanilla. A few drops of water lift up the vanilla and grassy notes. A pinch of white pepper and milk bread. Finish: A long and dry finish. The oak flavours win the fight without becoming too bitter. This was a very decent Lowlands whisky. The bourbon cask showcases perfectly the subtle regional profile. A highly recommended tasty dram for spring and summer. It's not as hyped as the demolished Littlemill but given the current situation of the distillery, we might see a similar hype around Bladnoch in the next few years (if independent bottlers keep releasing quality bottlings and hold the substandard casks back for blending purposes). Malts of Scotland sold this bottle in 2012 for around €99. If you stumble upon it and you happen to search for an affordable aged Lowland whisky, you might give it a thought.